ten years since this problem has picked up the pace and is rising with each day passing by. diet and health maintenance program post-treatment, the success ratio and so on. Every surgery involves high risk and major complications, and Bariatric is no exception in that case. With 28 years of experience of the field, Dr. Sanjay Borude is one of the renowned names of the medical field. He’s done MS in Gen. Surgery and holds versatile experience in the area of Bariatric surgery. 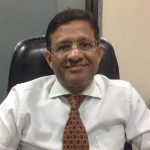 He is currently associated with Apollo Hospitals, Mumbai. From past 28 years, Dr. Naresh has been giving flawless and renowned Bariatric Surgery to his patients. 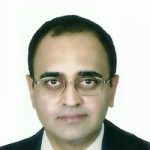 Currently associated with Saifee hospital as a consultant at the department of general surgery, his specialties include Advanced Minimally Invasive Surgery and Laparoscopic Bariatric Surgery. 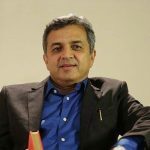 Accoladed as The Marquis who’s who awards in Medicine and health care (USA) in 2011-12, Dr. Jaydeep holds specialty in Single Port Surgery, Robotic GI Surgery, and Surgery for Type 2 DM. Moreover, Dr. Jaydeep is having two decades of general experience in this field which makes him a trustworthy surgeon. 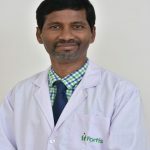 With 17 years of experience as a surgeon, Dr. N Arulvanan has been associated with Fortis Hospitals, Mumbai for 9 years. Trained at St.Raphael, New Haven, Connecticut, USA, his areas of expertise involve Bariatric Surgery, Metabolic Surgery, and Laparoscopic Surgery. With the enhanced experience of the field, Dr. Jayesh is currently a senior consultant of Bariatric Surgery at Lilavati Hospitals, Bandra. In MS – general surgery, Dr. Jayesh Zaveri is the Triple Gold Medalist from Bombay University. From 31 years of experience as a surgeon, Dr. Jayesh is one of the tier-1 Bariatric Surgeons of the nation. 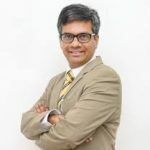 Down the line, this is just a short yet comprehensive list of Bariatric surgeons in Mumbai as there are a dozens of more individuals and hospitals. But this list will certainly give you the idea about what type of bariatric or weight loss surgeons we have in our Aamchi Mumbai! So, if you are a patient with any BMI ratio, stop worrying and click here to contact us. We’ll help you in choosing the best surgeon depending upon your medical and financial condition.